Dr. Eileen M. Trauth is Professor of Information Sciences & Technology, and Women’s, Gender & Sexuality Studies at the Pennsylvania State University. Dr. Trauth’s research is concerned with societal, cultural and organizational influences on the information technology professions with a special focus on gender and social inclusion. She is particularly interested in the linkages among diversity, social inclusion and economic development. 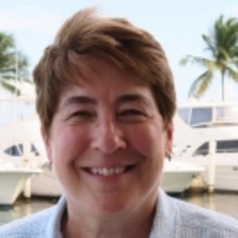 Dr. Trauth has lectured extensively about and investigated issues of gender underrepresentation in the information technology professions throughout the United States and Europe as well as in Australia, New Zealand, and South Africa. She has conducted over 200 life history interviews with women working in the information technology field where she has collected stories of barriers and support. Her current work is focused on the intersectionality of gender and other identity characteristics such as race, ethnicity, socio-economic class, sexuality, nationality and disability status. Dr. Trauth is currently engaged in a field study of 100 African-American men in the information technology field. She has published extensively on the topic of gender diversity and social inclusion in books, scholarly journals and conference proceedings. She is editor of the Encyclopedia of Gender and Information Technology and two conference proceedings on the topic of diversity and social inclusion. During 2008 she held the Universität Klagenfurt (Austria) – Fulbright Distinguished Chair in Gender Studies, and served on the scientific advisory board for Female Empowerment in Science & Technology Academia (FESTA), a European Union, Seventh Framework Programme for Research and Innovation. With funding from the National Science Foundation, Dr. Trauth has written a play, iDream (iDreamThePlay.com), based on her interviews with women in the information technology field, as a way to increase awareness about gender barriers in the scientific and technological professions. Trauth was also the recipient of a Fulbright Scholar award in 1989 to investigate socio-cultural influences on the emergence of Ireland's information economy. Her research has been supported by grants from the Fulbright Foundation, the National Science Foundation, the Australian Research Council and Science Foundation Ireland. She is currently co-editor-in-chief of Information Systems Journal, and has published 9 books and numerous scholarly papers about her work on gender and social inclusion, the information economy, qualitative research methods, critical theory, global informatics, information policy, information management, telecommunications policy and information systems skills. Dr. Trauth’s research is concerned with societal, cultural and organizational influences on the information technology professions with a special focus on gender and social inclusion. She is particularly interested in the linkages among diversity, social inclusion and economic development. Her teaching interests include gender in the IT field, qualitative research, the human context of information processing, diversity in the global knowledge economy, and global informatics. Dr. Trauth has taught courses and advised graduate students in Australia, Canada, several European countries, New Zealand, and South Africa.